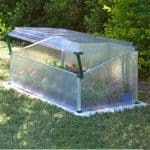 This 3 x 3 cold frame has some unique features, not least the fact that the aluminium frame has been treated for rust resistance. 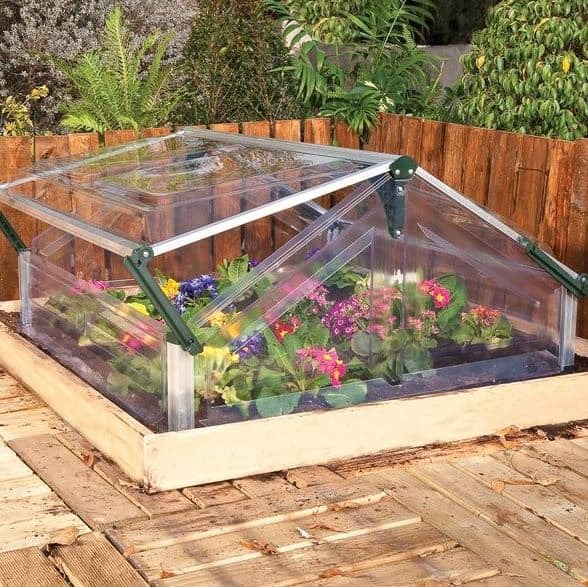 This means that you have a cold frame that is naturally able to deter rust and therefore protect the integrity of the framework. 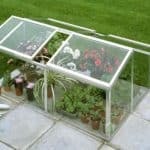 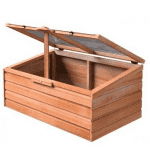 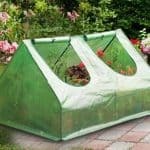 This allows you to be safe in the knowledge that your cold frame will continue to bring you service for years to come. 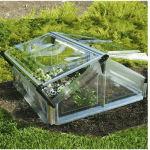 There are also polycarbonate glazed panels in the units that are 100% shatterproof. 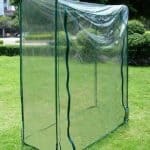 These also protect against UV rays.